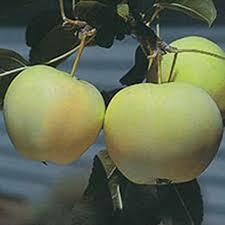 Comments: Well-known early summer apple, good for drying, freezing, sauce, juice and wine. Transparent pale yellow skin. Crisp, light-textured, juicy flesh.